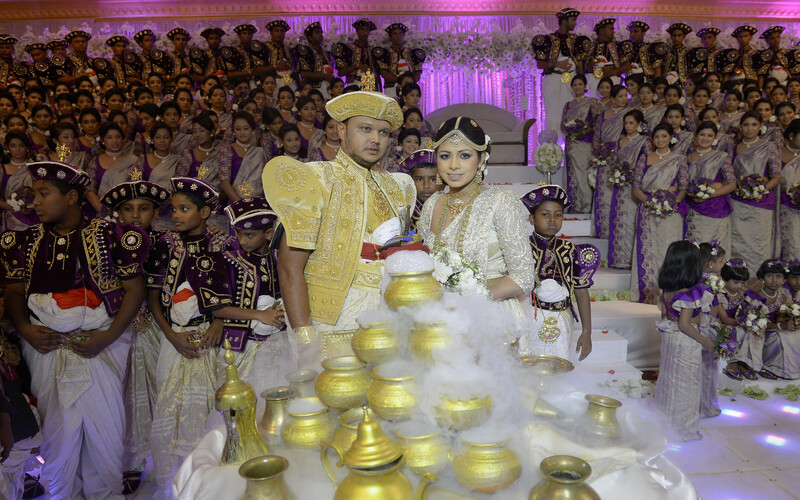 Sri Lankan couple Nisansala and Nalin tied the knot on Friday in a world-record-breaking ceremony. The pair beat the previous Guinness World Record holder for most number of bridesmaids at a wedding ceremony with a whopping 126 'maids. According to Reuters, the previous record was 96 bridesmaids at a wedding in Thailand. 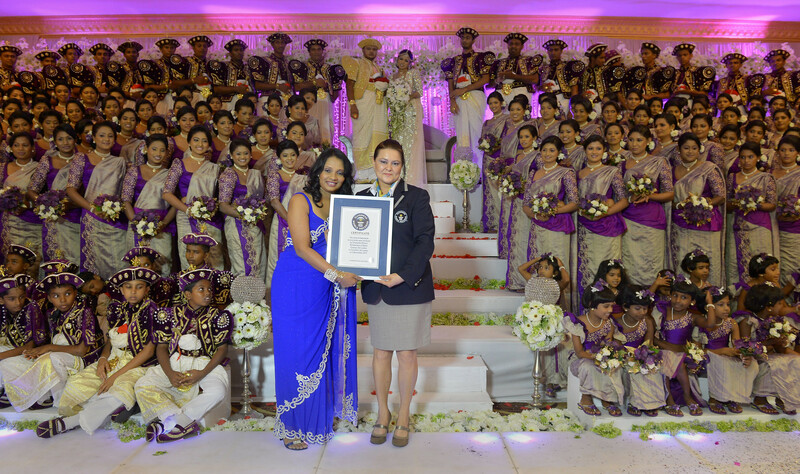 Champi Siriwardana -- one of Sri Lanka's leading wedding planners and dress designers (who also happens to be Nisansala's sister-in-law) -- came up with the idea to try to break the world record. 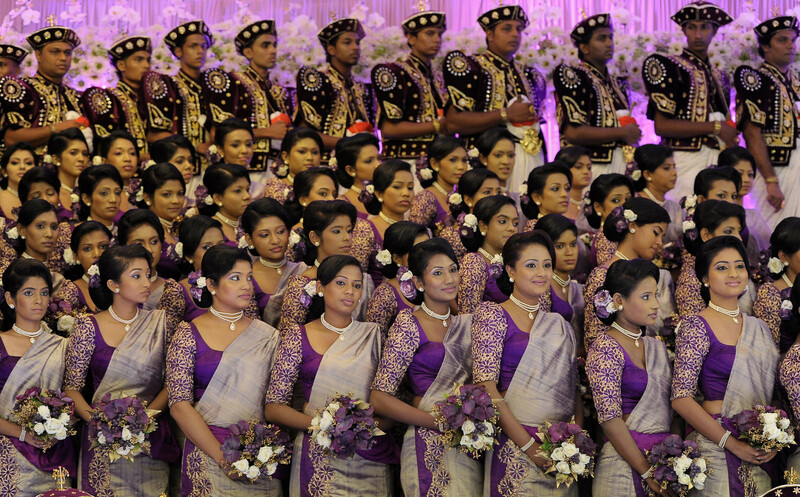 Twenty-five groomsmen, 20 page boys and and 23 flower girls and even First Lady Shiranthi Rajapaksa were in attendance at Nisansala and Nalin's Big Day. Check out some amazing photos from the celebration below.